Kristine G. Johansson from Din Reisevaksine AS in Trondheim recommended us to get vaccinated against diseases like Hepatitis A, B and Yellow Feber before traveling to Peru. We are now protected and ready for adventure time! 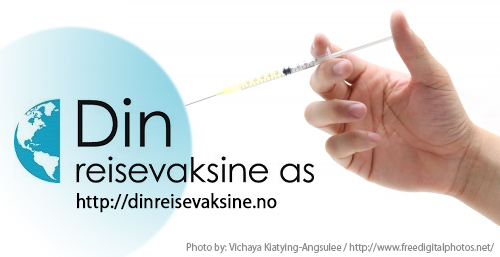 We want to give thanks to Kristine and recommend Din Reisevaksine if you live in Trondheim and need to get vaccinated. Previous Previous post: New connections!